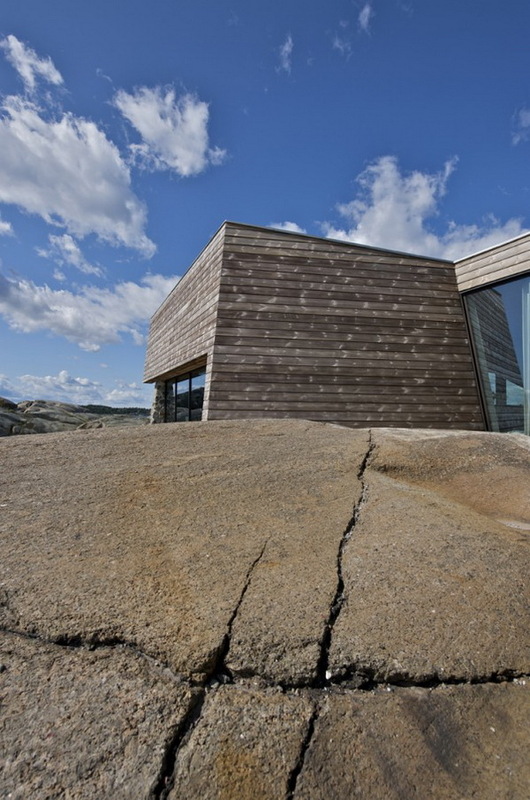 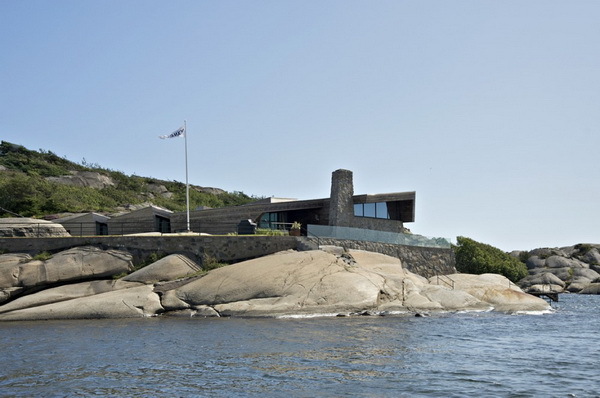 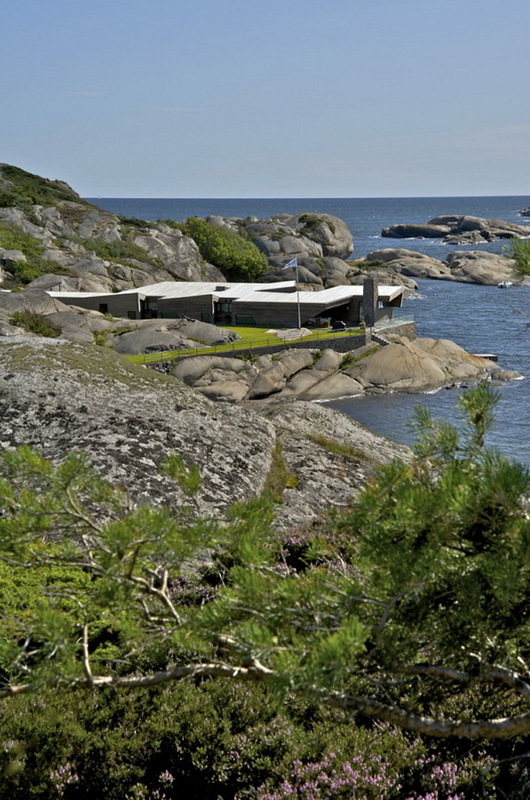 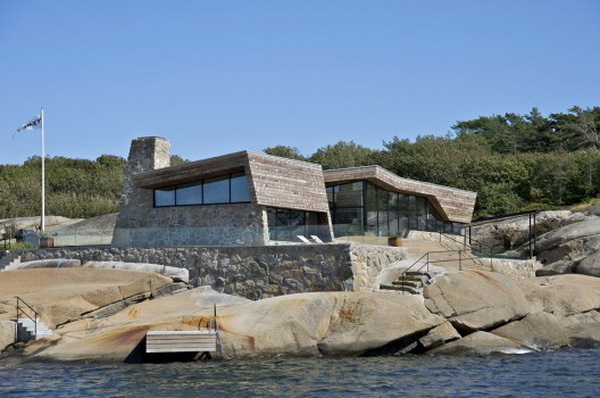 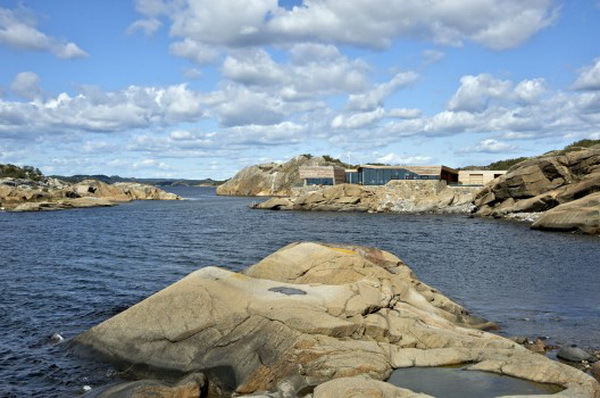 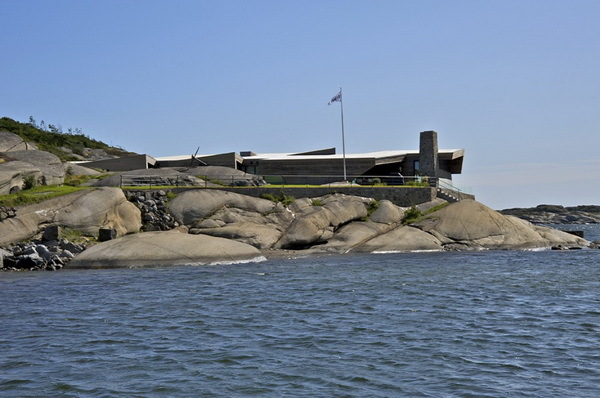 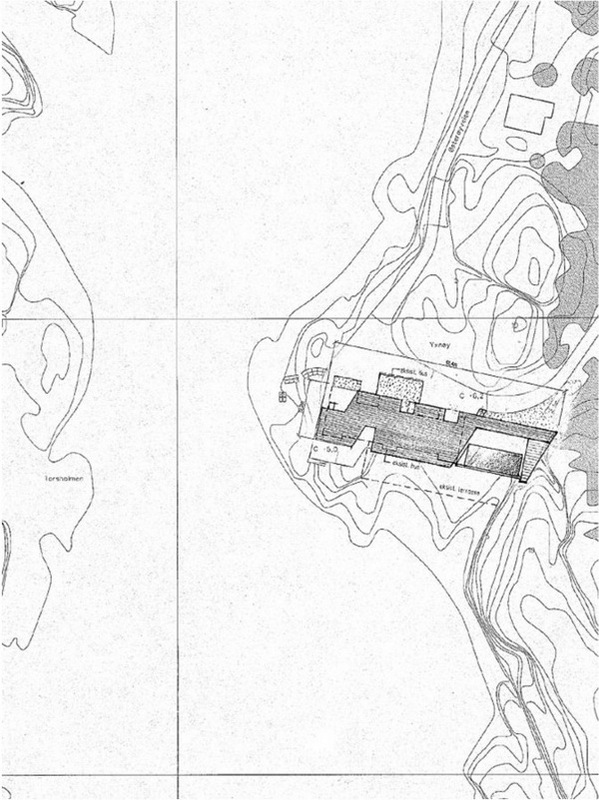 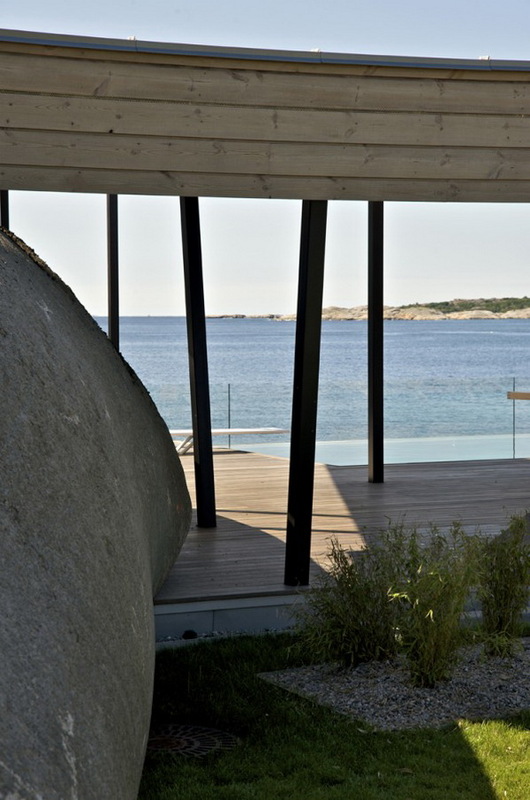 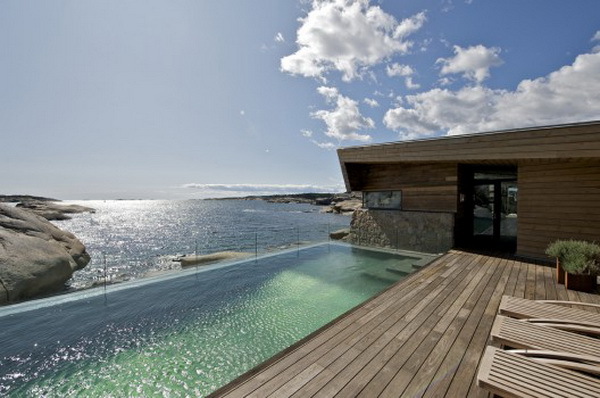 This fantastic holiday residence in Southern Norway was, oddly enough, designed in relationship with the dull and rocky setting, but resulted anything but dull: a highly contemporary and minimalist building called the Summer House Vestfold 2. 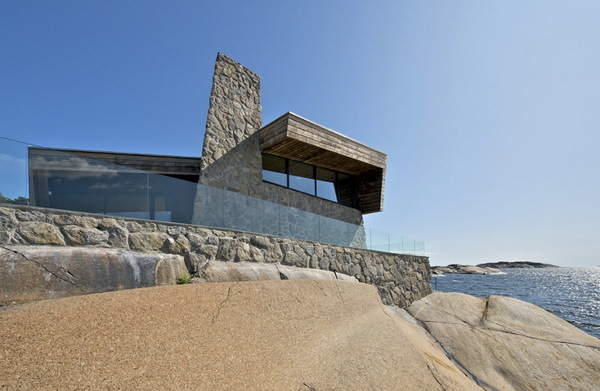 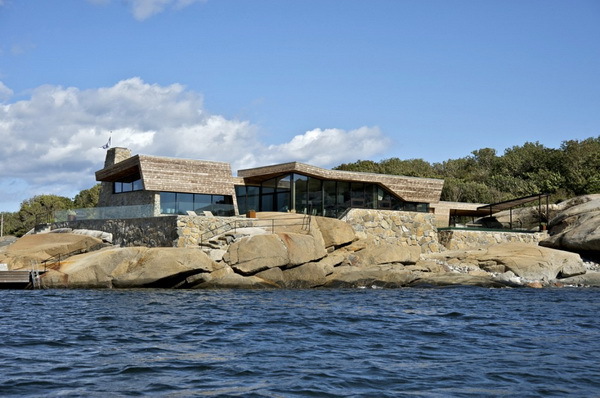 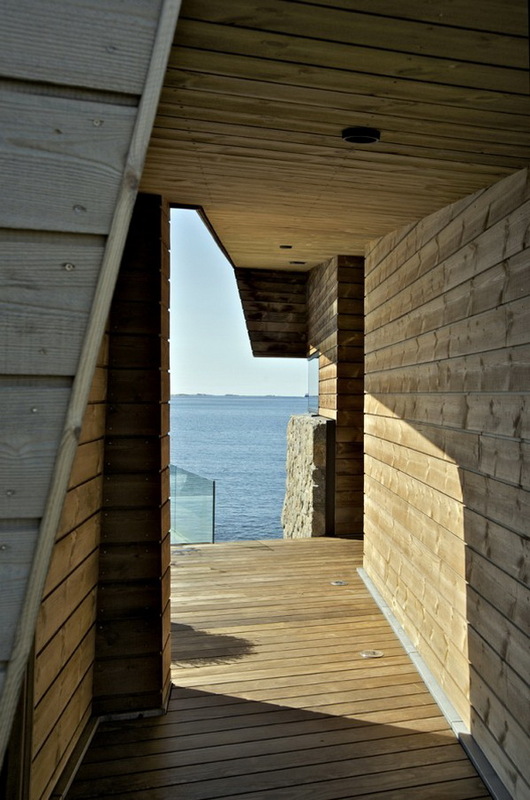 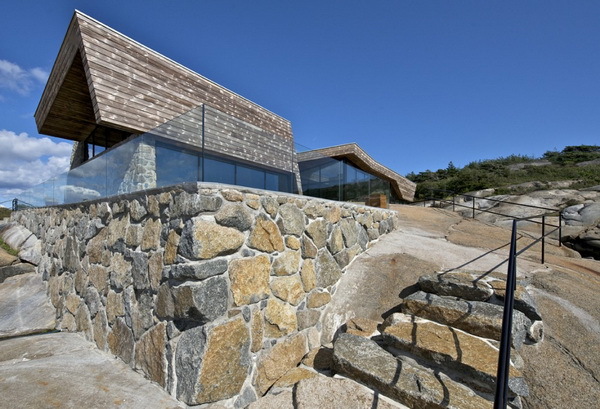 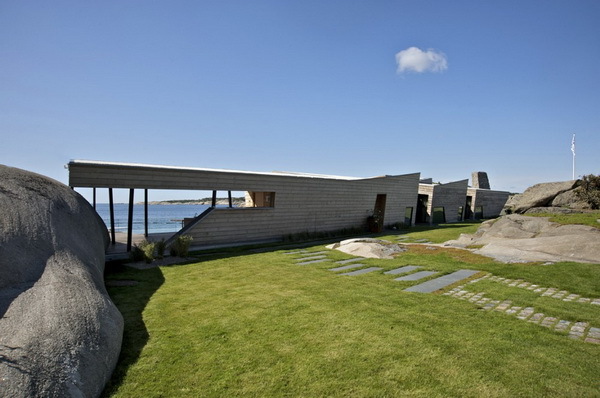 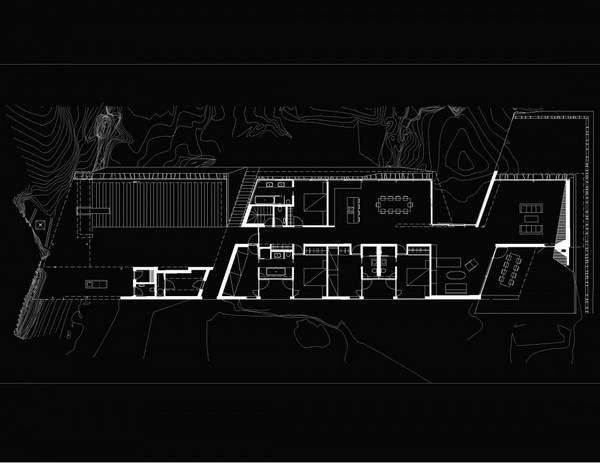 Designed by Jarmund / Vigsnæs AS Architects MNAL, the summer house seamlessly appears to grow among the rocks of the difficult terrain, adjusting to the site’s particularities in shape, scale, material and color. 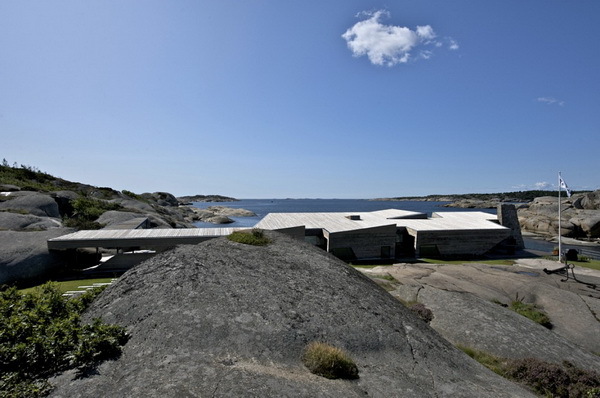 With a pavilion-like layout, the elongated building features court areas cut into the volume, thus shielded against wind. 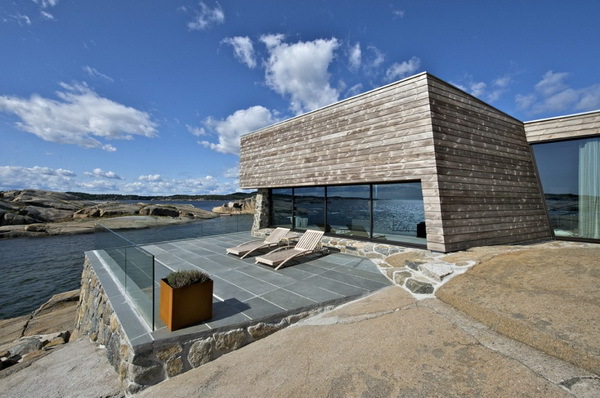 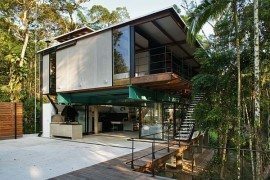 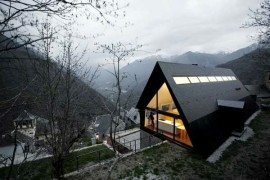 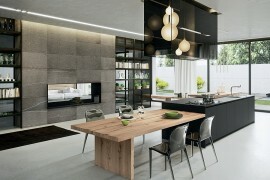 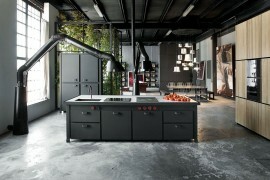 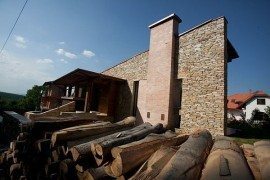 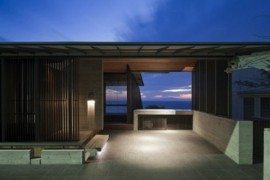 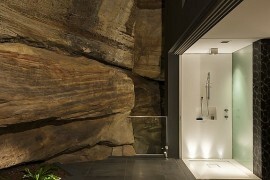 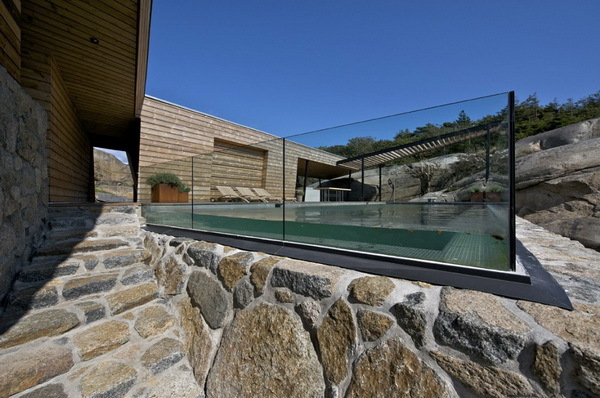 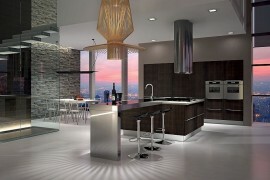 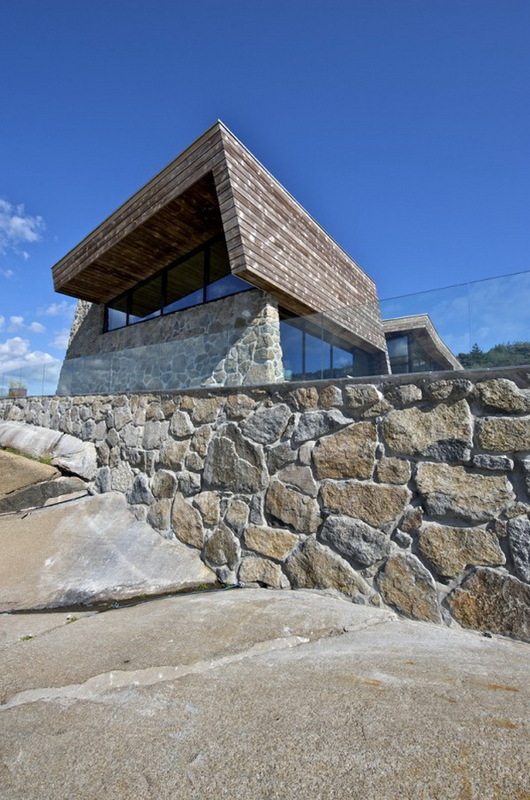 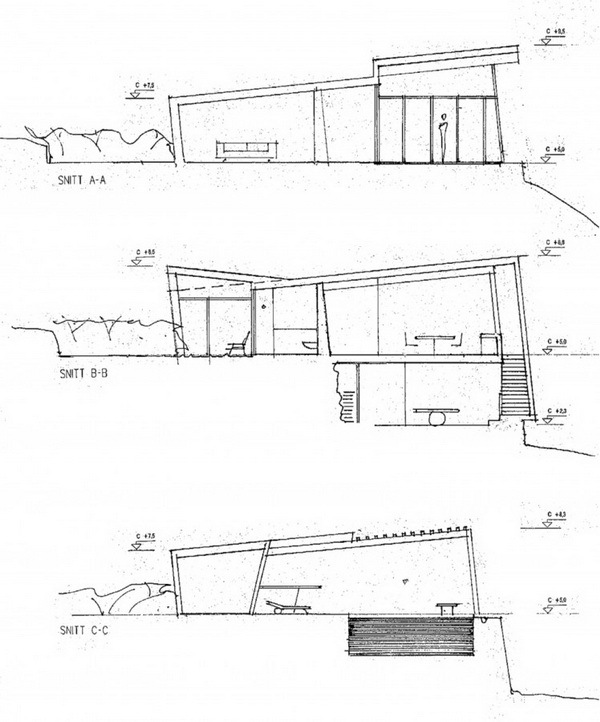 The structure has a stone base, stylish and prolonged windows and is covered and partly clad in natural grey wood, thus being a showcase of the beauty of natural materials with a highly modern edge.